WDP’s Capital Card scheme has been helping to incentivise and empower service users, the team tells DDN. People who come into drug and alcohol services looking for support and treatment are very often also experiencing profound isolation from their communities. Not only can this be damaging to their recovery, it can also have a negative impact on their general health and wellbeing. Helping service users reconnect with the world is a vital issue for substance misuse services. With this in mind, WDP has launched a simple earn/spend points system that supports service users to make sustainable and significant changes. 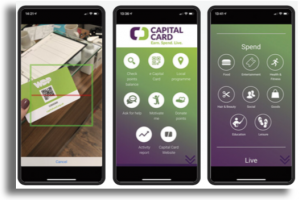 Created by WDP’s joint CEO, Manish Nanda, the Capital Card aims to transform the lives of service users and their families by protecting against social isolation and encouraging people towards proactive and positive engagement at their service. Points are saved on a smartphone app. 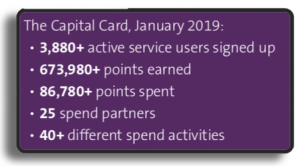 Much like a retail loyalty card, Capital Card users earn points as they go. 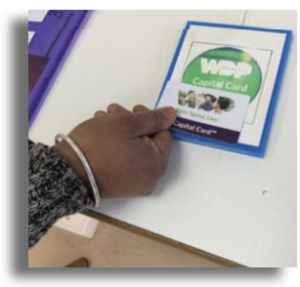 When they begin treatment with WDP they are given their own personal Capital Card, and each time they attend a keywork appointment or take part in a group or recovery-related activity they earn ten Capital Card points. They can then redeem the points they’ve accrued at ‘spend partners’ in their local communities. These recovery-focused opportunities are diverse and growing, and include gym passes, restaurants, cinema tickets and adult learning. These benefits and experiences inspire people to engage with their local communities, as well as bolstering their recovery. The card has been designed based on the principles associated with ‘contingency management’, an evidence-based treatment intervention endorsed by the National Institute for Health and Clinical Excellence (NICE) and which suggests that positive behaviour change is strengthened through reinforcement, reward and recognition. It has also been mapped against the ‘five ways to wellbeing’ and all spend rewards are focused on supporting service users to achieve healthier lifestyles. The evidence suggests that even a small improvement in wellbeing can help people to flourish. 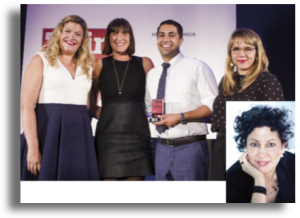 The Capital Card was shortlisted by the Global Good Awards and the Charity Times Awards, and was also named ‘digital innovation of the year’ at the 2018 Third Sector Awards. While the scheme and technology are national, the card can easily be adapted locally to meet the needs of each service and its clients. Some services have used it to help meet their KPIs or to incentivise particular groups of service users by setting up ‘bonus’ structures – for example, by providing bonus points to those who complete a full course of BBV vaccinations within six months. Having such a flexible scheme means that each service can benefit from national spend partner opportunities while also having smaller local independent businesses involved. Most Capital Card spend partners are charitable or corporate social responsibility-minded organisations that want to give something back and reward those trying to help themselves during a difficult period in their lives. Service user involvement is central to the Capital Card enterprise. Service users have enthusiastically supported the production and evolution of the card from the begin­ning and provide regular feedback on what’s working well and what needs improve­ment, as well as the type of spend partners and incentives that they want to see. Service users have been involved in planning and running the project. There have also been spend opportunities organised for more isolated service users so that they can attend group activities with their peers. One good example is locally organised Nando’s outings. These have had excellent feedback, with service users describing how they allow them to socialise, avoid isolation and feel safe in an accepting environment, while enjoying a meal that they wouldn’t otherwise be able to afford. ‘One of the key reasons for Havering Council awarding the adult drugs treatment service to WDP was its commitment and drive to innovate in the sector,’ said senior commissioning manager at the London Borough of Havering, Daren Mulley. The Capital Card is not only local authority-endorsed but was also singled out in a positive Care Quality Commission (CQC) report for WDP’s Harrow service in 2018, where it was described as an area of ‘outstanding practice’ for service users. The next step is now looking at the card’s impact in more detail. With more than 12 months of data from its Hackney Recovery Service, WDP is working with London South Bank University (LSBU) to analyse and publish the statistical impact. If you are interested in setting up the Capital Card in your area, contact Holly Price, capital card manager on holly.price@wdp.org.uk or 07557 393 980.